Nurse Lisa Gravitt will be presented with the 2019 Desser Spirit of Life Award by the Cancer Support Center on Wednesday, March 13. 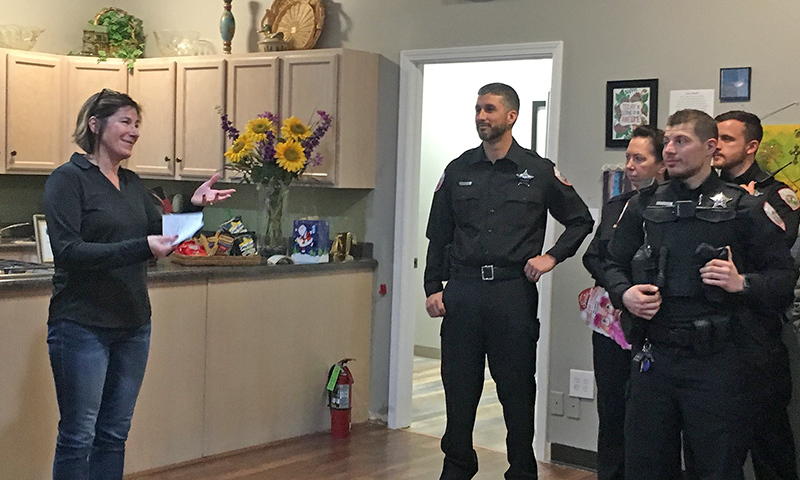 The honor will be given to Gravitt, a nurse navigator at Palos Health, during the organization’s annual meeting at 6:30 p.m. at the center, 2028 Elm Road in Homewood. 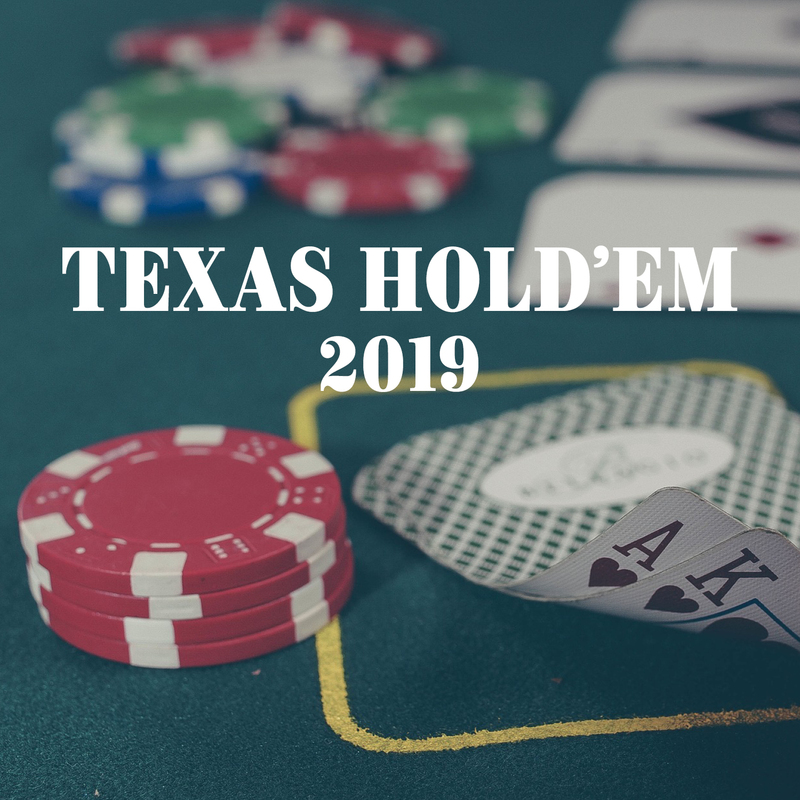 The Cancer Support Center Community Board is hosting its 15th annual Texas Hold ’em Tournament on Saturday, Feb. 2, at Balagio Ristorante, 17501 Dixie Highway in Homewood. Organizers are looking for 80 to 100 card players to support the event. As in years past, the final table winners will receive more than $5,000 in cash and prizes. 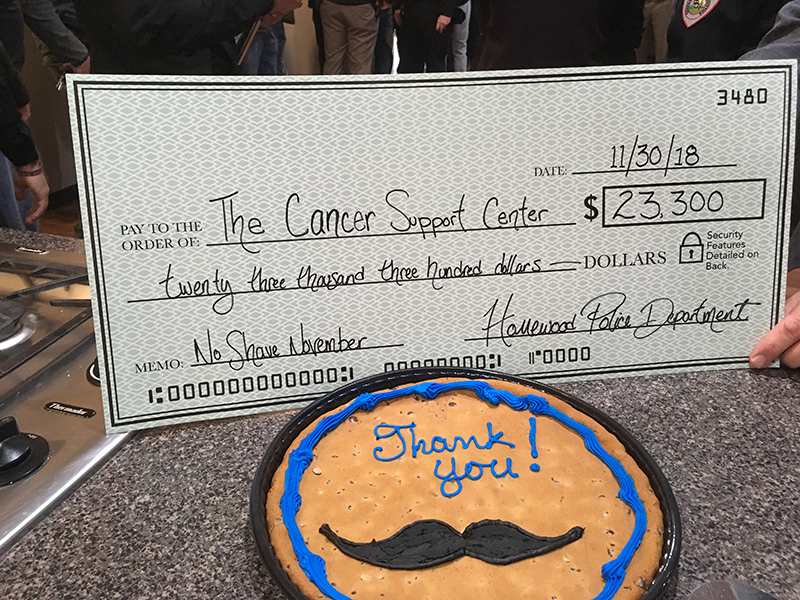 Homewood Police Department officers have raised more than $25,000 for Cancer Support Center while growing beards during a No Shave November fundraiser. 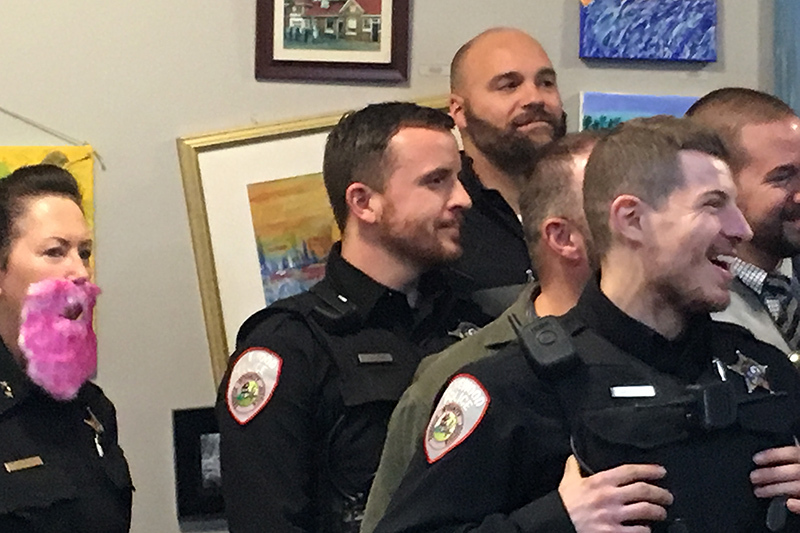 For the fundraiser, police officers could “buy in” for a $50 donation, giving them the privilege of growing a beard and asking them to raise money for Cancer Support Center. 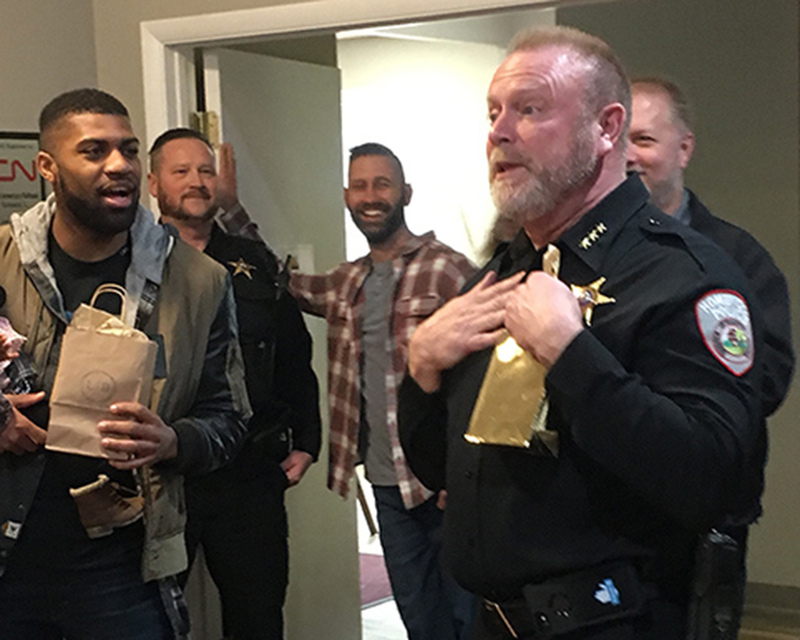 Since Homewood police officers are normally not allowed to wear beards at work—though they can have mustaches—the fundraiser’s theme gave them extra incentive. 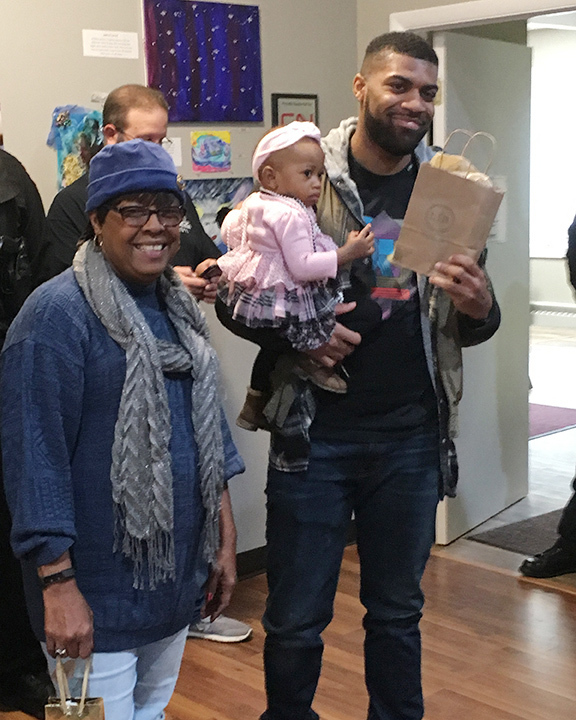 The Cancer Support Center is inviting participants, volunteers, donors and community members to a rededication on Thursday, Oct. 25, of the newly remodeled Homewood location, 2028 Elm Road. 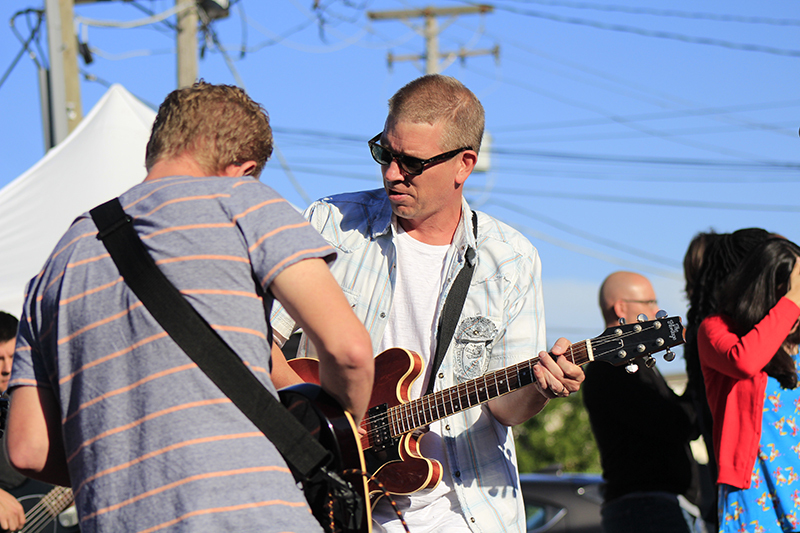 The 6 to 8 p.m. event also includes an art show of work by Cancer Support Center participants and a newly created video. 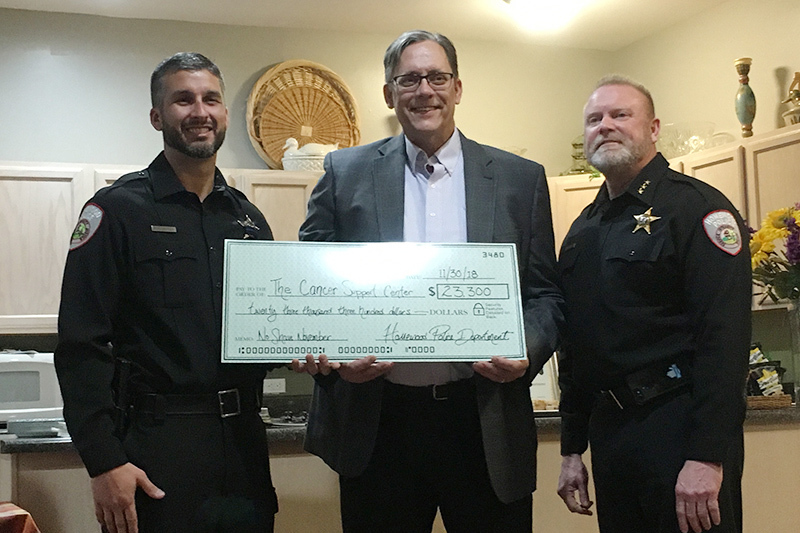 Donna Anfield of Homewood has been coming to the Cancer Support Center the past four years and has found ways to give back. 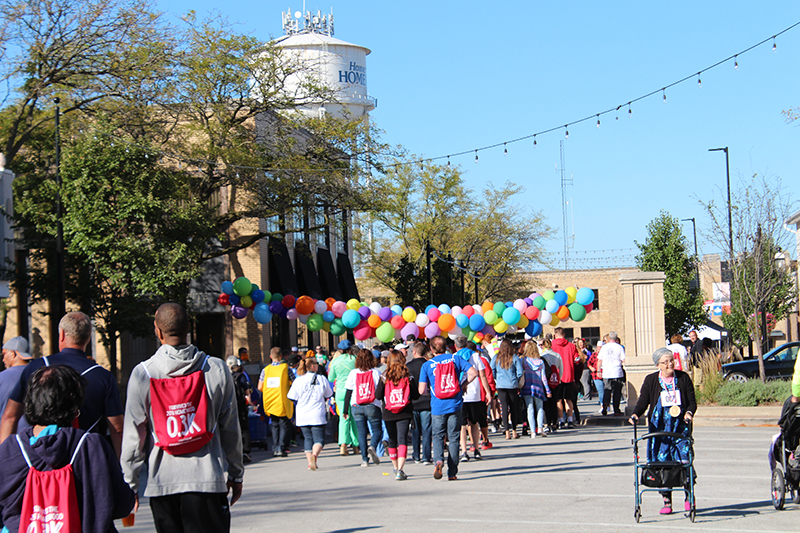 She’ll do that again on Sunday, Oct. 7, volunteering her time at the Walk of Hope, the agency’s major fundraiser. She’s looking forward to seeing friends and their families come out Sunday. They're off and running, and walking, and stopping to chat for a bit, as they race toward the finish line. Angela "the Unicorn" Brozowski discusses race strategy. Hers involved rainbows and glitter. 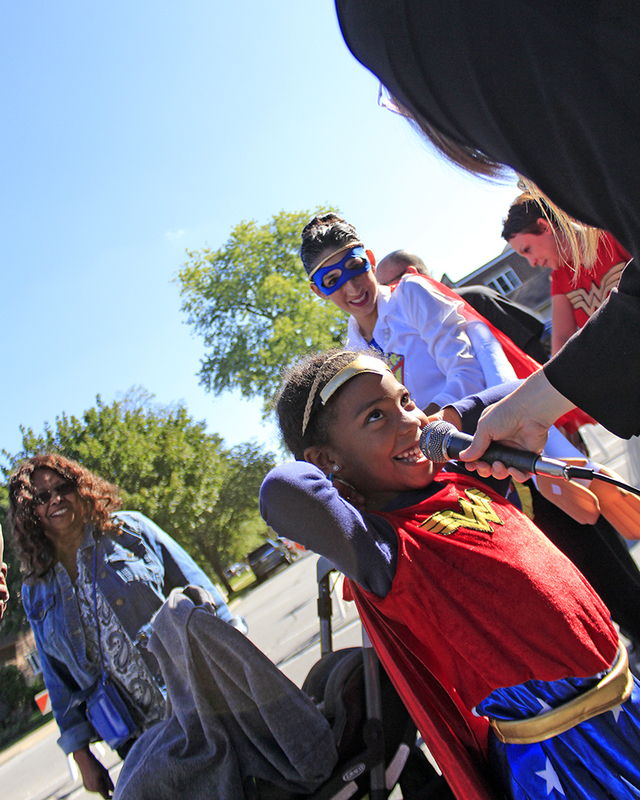 Imani Green describes her race preparations — an apple doughnut and some pushups — to "HBA Sports Network" reporter Priscilla Cordero. The head of Chris Loudon appears to be conveyed by Death himself. Loudon said he hadn't really thought through the whole eating and drinking aspect of the costume when he put his head in a cage. 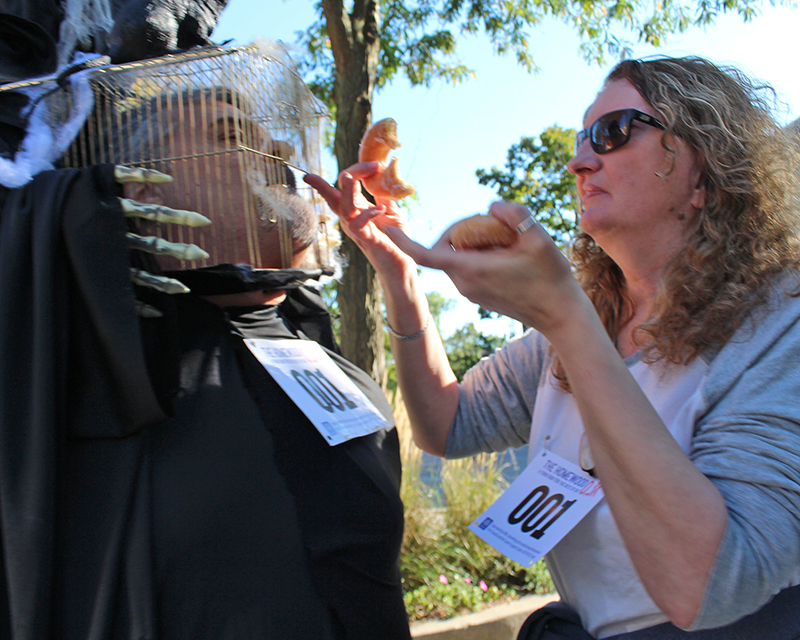 Chris Loudon's wife, Tracy, helps him eat a doughnut in spite of challenges presented by his costume. 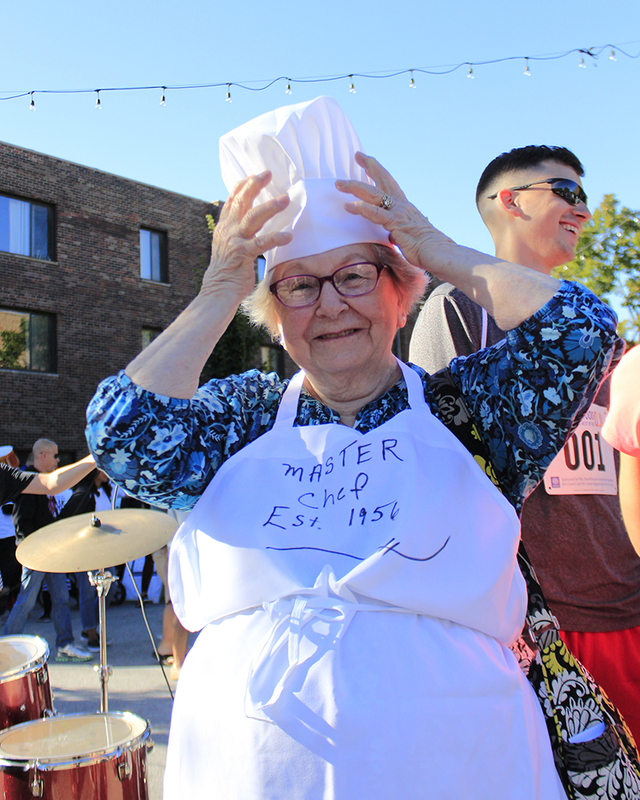 Lillian Goodman, a Homewood resident for about 64 years, adjusts her master chef's hat. 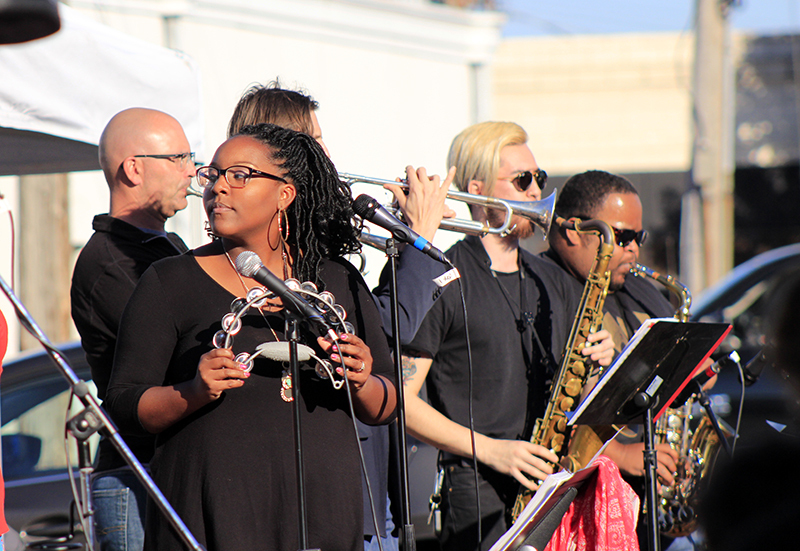 She presided over a team of family members who participated in the event. "I think this is a terrific idea," she said. 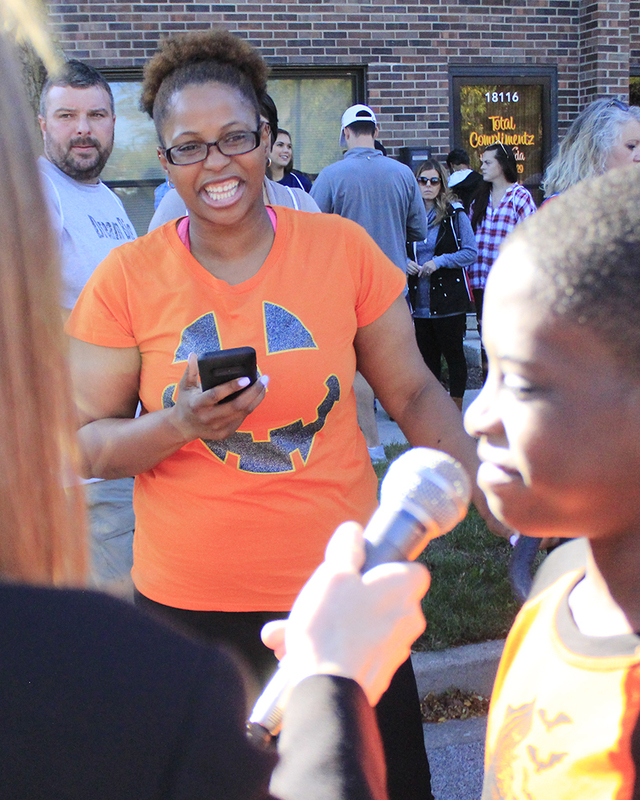 Delilah Butler watches her son, Jermaine, do an interview before the race. Jermaine expressed confidence in his chances to win, noting that he had run 10 miles to prepare. 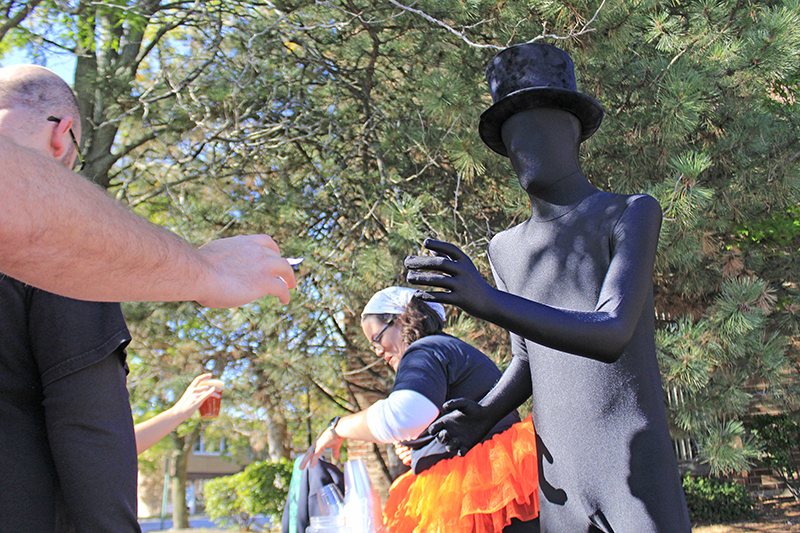 A Slender Man character helps serve pre-race beer at the Rabid Brewing table. 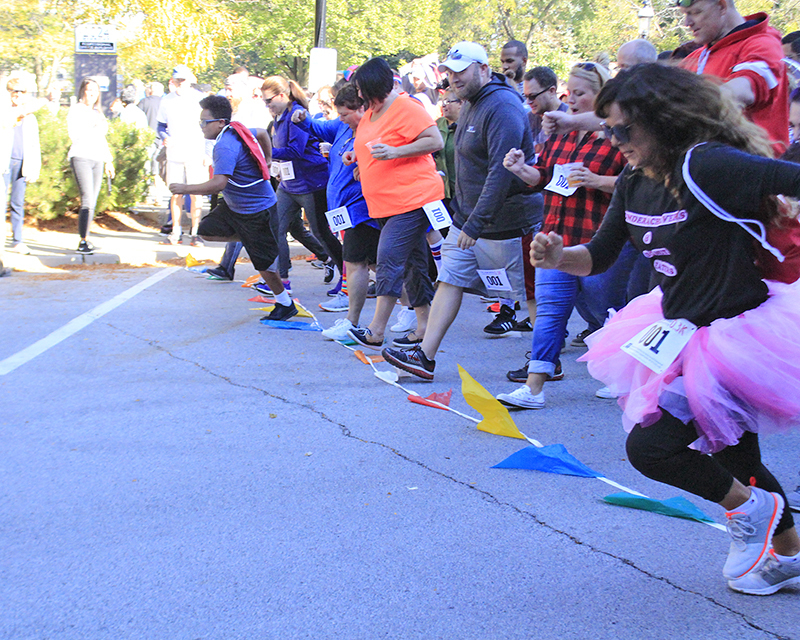 Race participants, many still chewing their mid-race doughnuts, saunter toward the finish line. 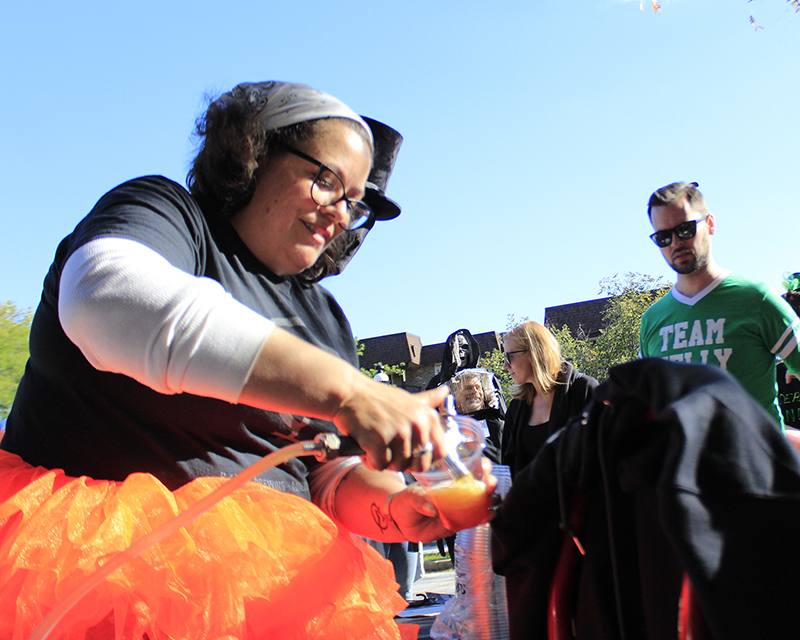 Raiye Rosado, co-owner of Rabid Brewing, pours as fast as she can for thirst racers. 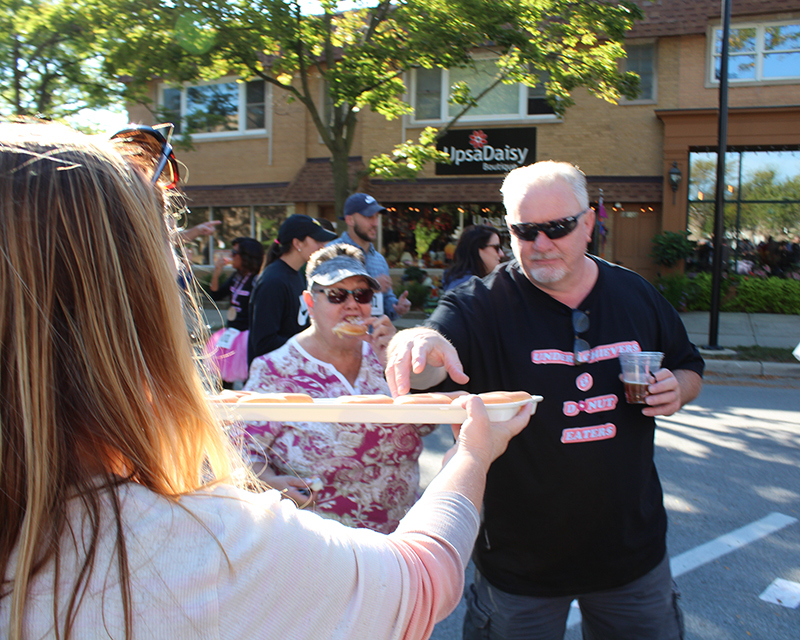 Dawn Peloso offers Don Rago a Krispy Kreme doughnut during the race. 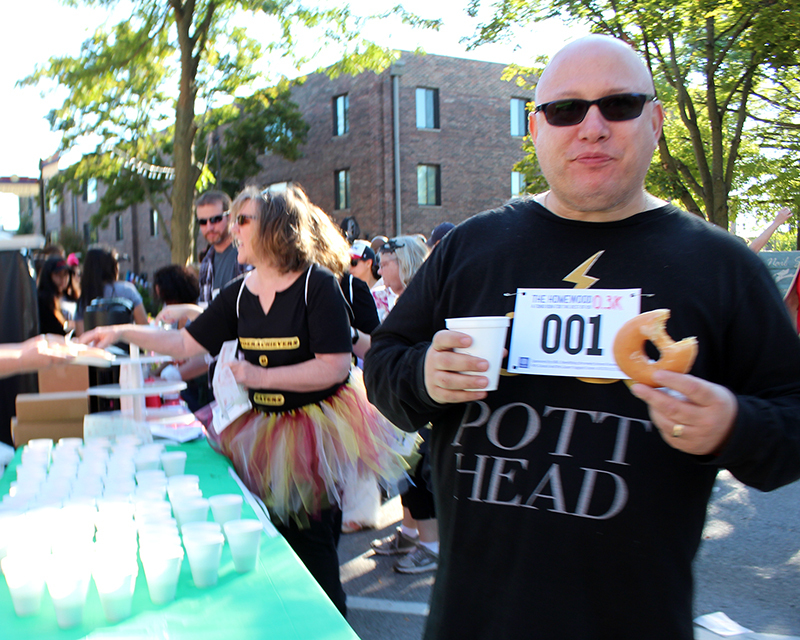 Keith Lewis, owner of Bookie's New and Used Books, gets into the spirit of the event. 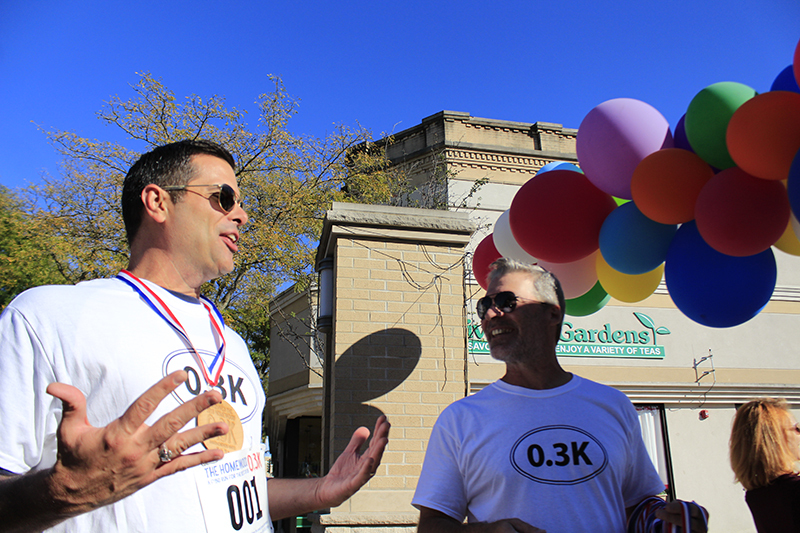 Todd Gleason explains to race organizer Greg Loudon how he generated the willpower to go past the mid-race doughnut pitstop. "I wanted to be the champion," he said. 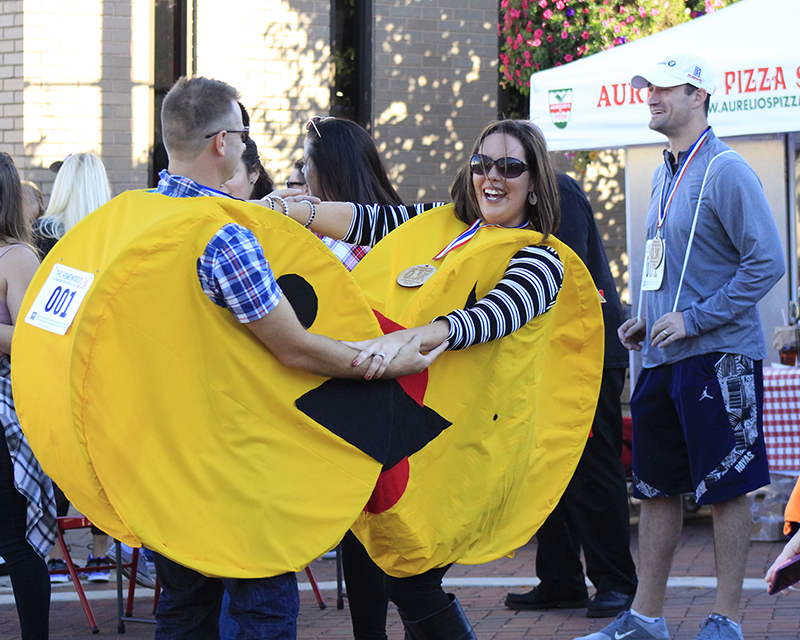 The dancing Pac-man people, Wesley and Lisa Lynch, were among a group that won the costume contest. 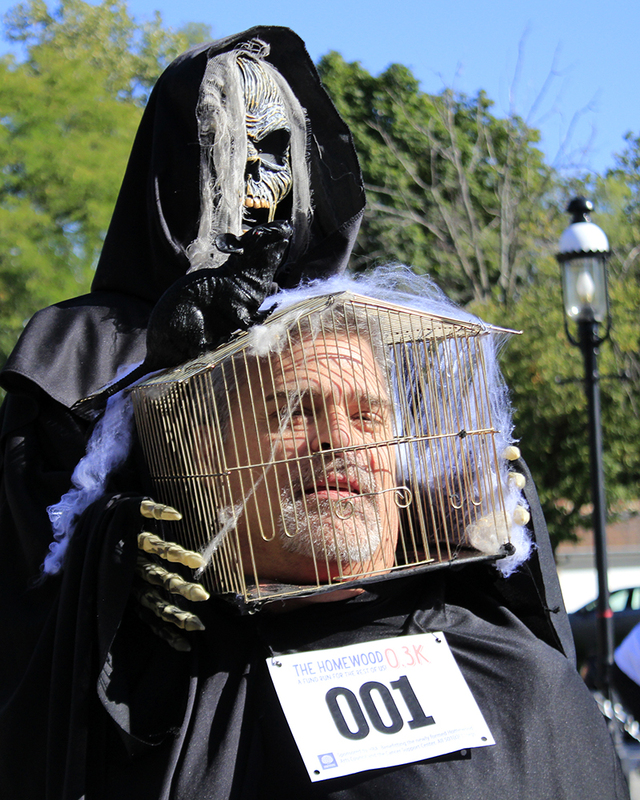 Staff Infection kept spirits up while racers recovered from their labors. 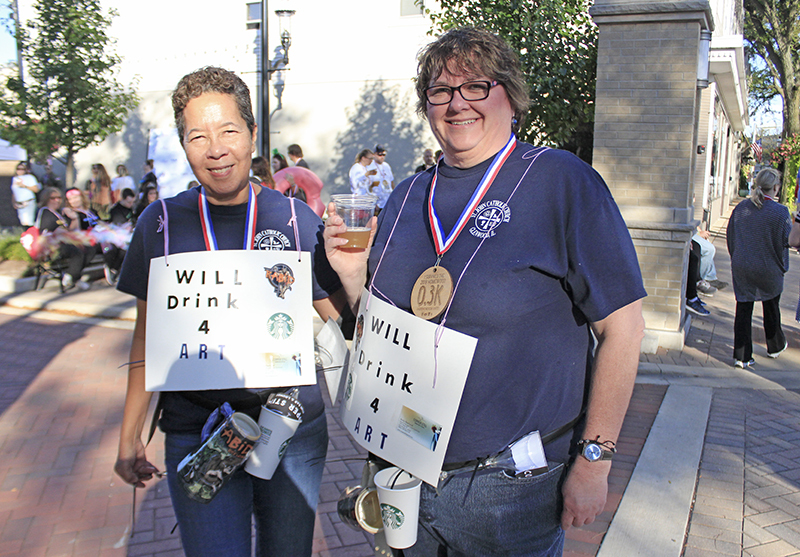 Susan Gates, left, and Ginny Williamson sport "Will drink 4 art" signs, plus tokens of each event sponsor. 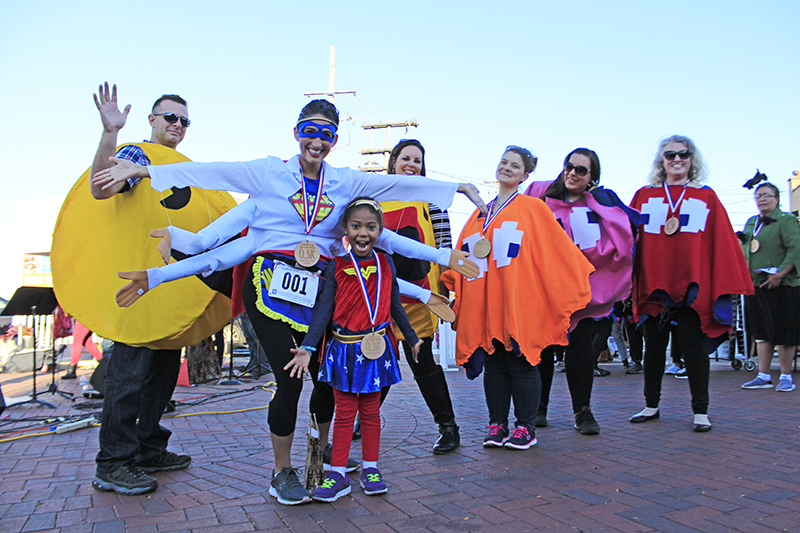 Winners of costume contest include, from left. 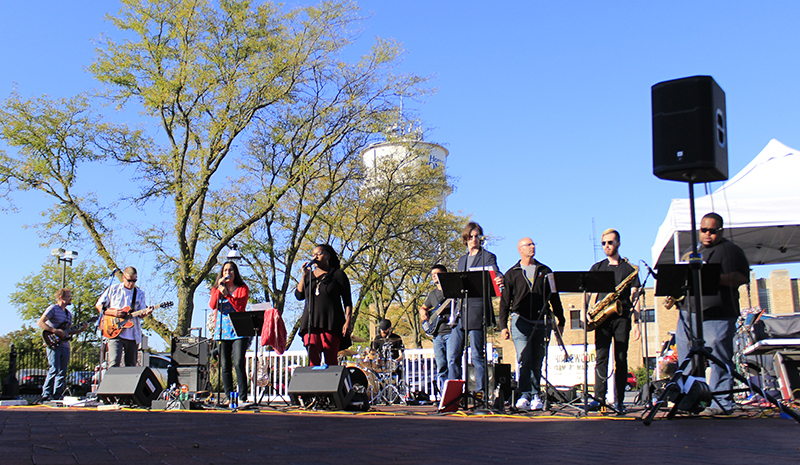 Wesley Lynch, Alexandra Green, Imani Green, Lisa Lynch, Amanda McCoy, Lauren Kreis and Michelle Sloan. Runners tend to dress in shorts and light shirts to help with comfort and performance. 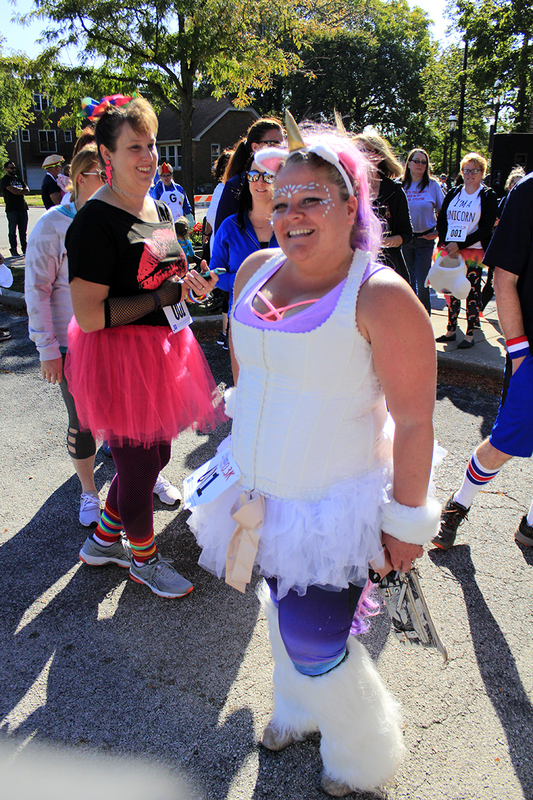 Angela Brozowski came to the Homewood Business Association's first 0.3K "run" on Saturday dressed as a unicorn. "It makes me fast and glittery," she said. "I can run on rainbows, soar over everybody." It was that kind of race.